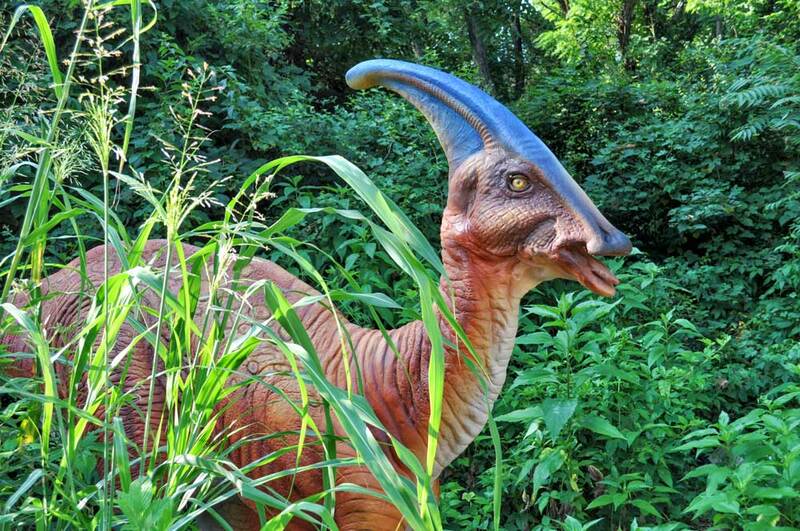 Did you think you would ever see or hear dinosaurs...in the Lakes Region of New Hampshire? This summer you will! 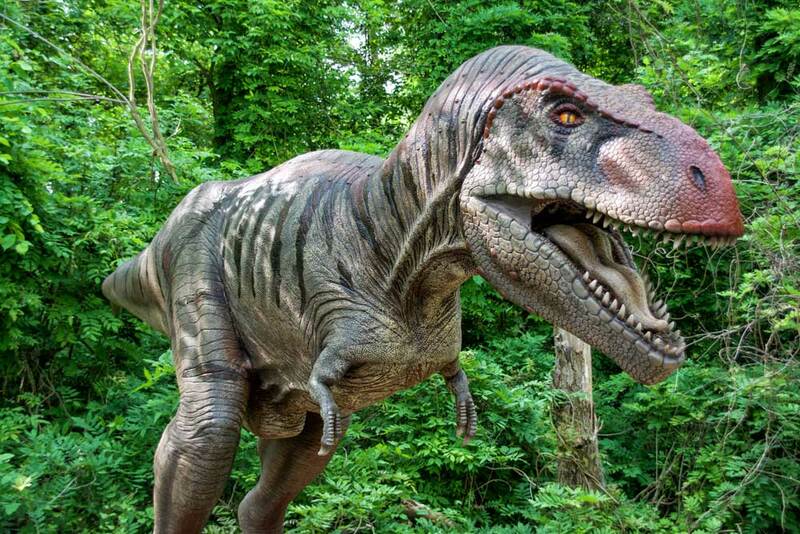 From July through September five dinosaurs are coming to the Science Center. 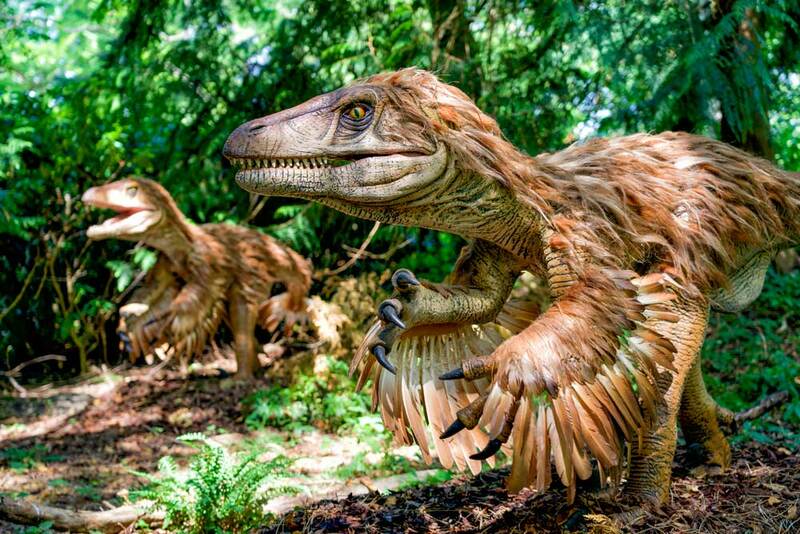 These spectacular, gigantic, animatronic creatures look and move and sound like the real thing - and one even spits! Where: Located in the natural setting of the live animal exhibit trail between the River Otter Exhibit and Black Bear Exhibit. Time: Plan at least two hours to walk the three-quarter mile live animal exhibit trail. What Dinosaurs Will You See? Given its name (meaning "high-spined lizard") because of the unusually high spines on many of its vertebrae. A bird-like body with a killer talon, or claw, on its hind foot used to stab their prey and held retracted while the dinosaur walked. A fast moving bipedal carnivore with long thing legs and short arms with three fingers and claws on each finger. This dinosaur had a long, hollow, and bony head crest used to make sounds, enhance sense of smell, and/or for mating displays. A bipedal carnivore with cone-shaped serrated teeth that were continually replaced. One of the largest dinosaurs ever! 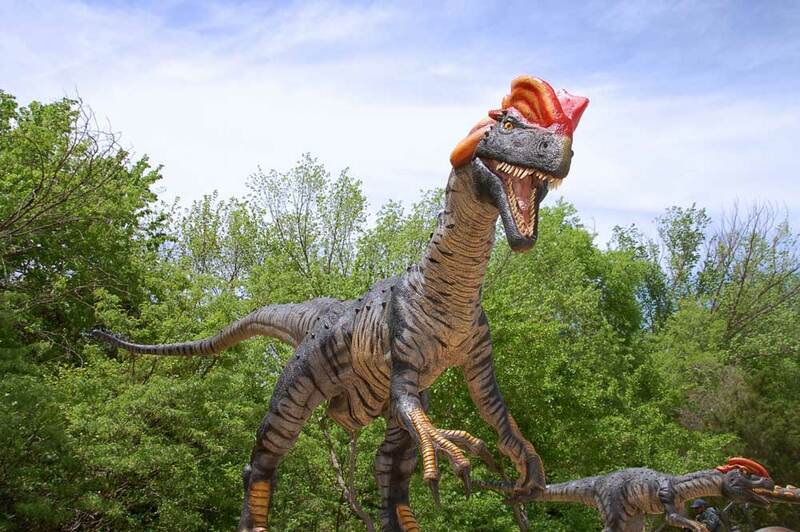 How else can you experience Dinosaurs Alive!? 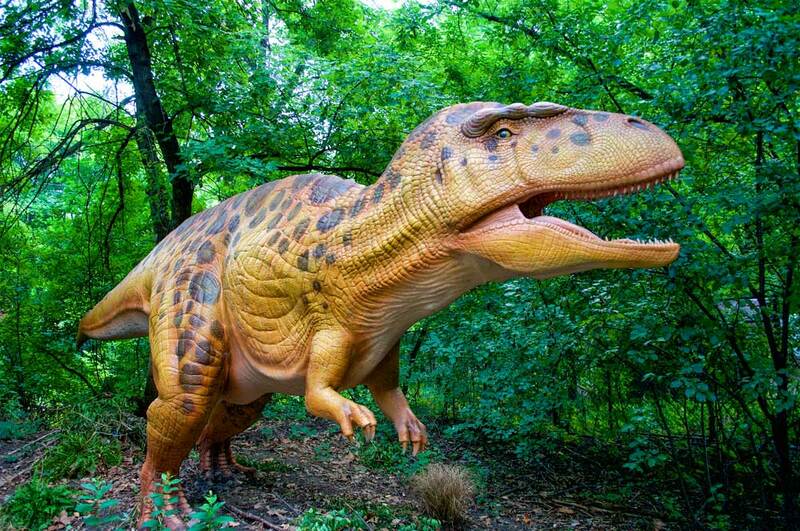 *See Modern Day Dinosaurs program for grades 1-5.